Pickling of iron plate etc. 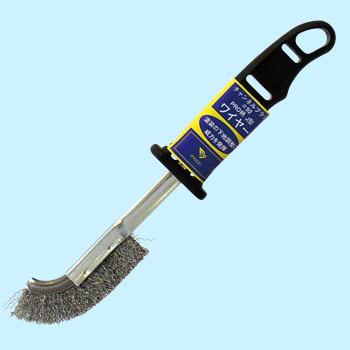 It is convenient to use for dirt and rust remover such as a concave part of a round mold, easy to grasp. This review is about item#8039062. Purchase for cleaning cars, bikes. The brush seems to have a waist. Afterwards it is durable. This review is about item#8039035. I am using it to remove stubborn koga during cleaning of business stove. It is also easy to use, easy to hold grip and no brush out. I think that power is easy to put in and it is very good. This review is about item#08039035. Plastic is attached to the grip and it is easy to use. I used it for rusting some threads, but it got beautiful. There was a short break in the beginning, but it soon settled down. I think that this price is not bad with brass. This review is about item#08039053. Chips removal in cutting work. It is easy to use with its owner's hand.